Old Journals - Keep or Toss? 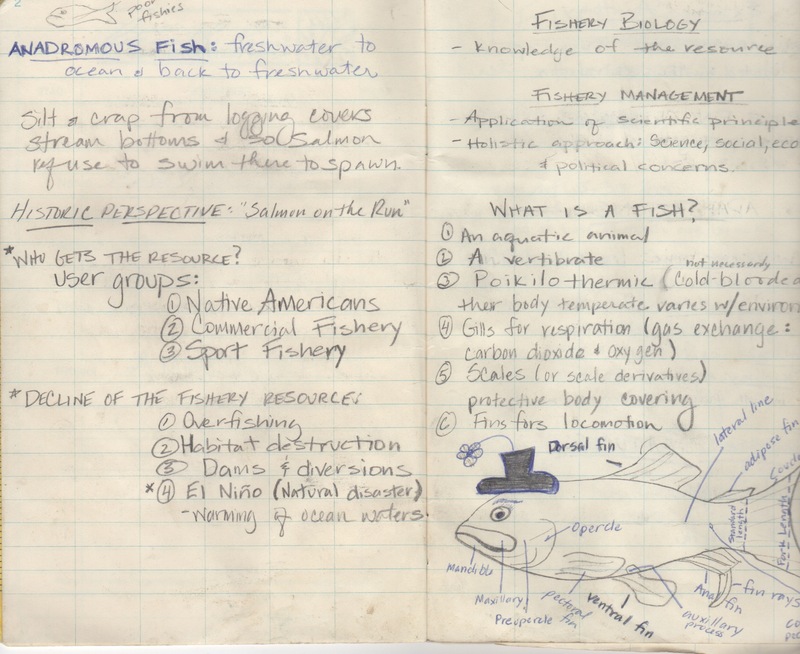 Old Journals – Keep or Toss? 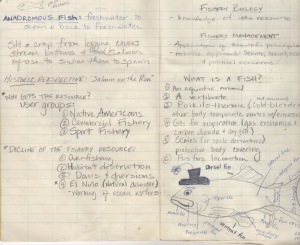 Many years ago, I tossed most of my old journals into the recycle bin except for two that a good friend convinced me to keep; one was entries that I was painfully required to write for 15 minutes daily during a year of living and working with Americorps in the Six Rivers National Forest of Northern California, and academic notes & drawings from a related Fisheries class. 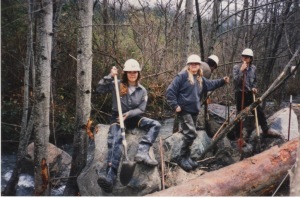 In that year my crew and I hiked hundreds of miles with heavy tools through mystical redwood forests to cut trail for scientists to do research and campers to enjoy the outdoors, and waded through fast-flowing rivers in the rain wearing rubber pants to build fish habitats and save the salmon. I was part of an eclectic crew of city misfits and college preppies performing the most challenging physical labor of our lives. It was also the most rewarding experience of my life. Born and raised in the concrete jungle of Los Angeles, it was my introduction to beautiful rainforest and mother nature. 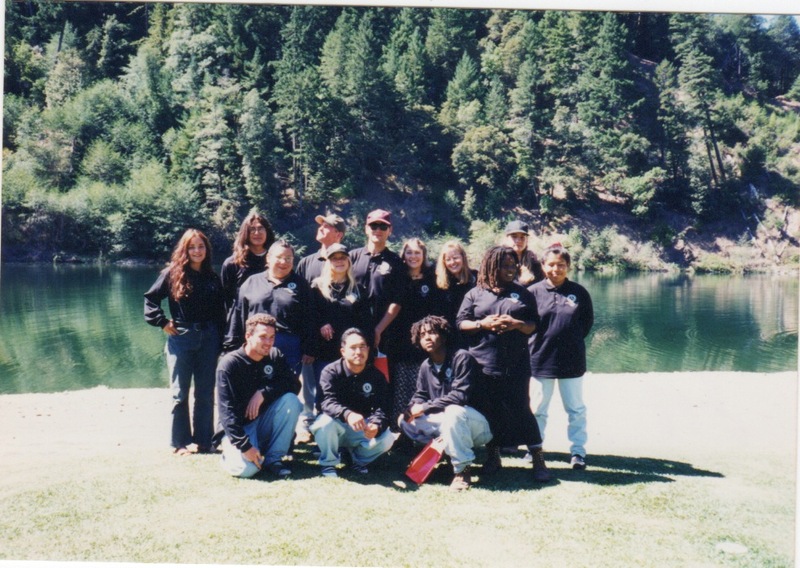 It was a pivotal point in my life toward environmentalism and natural resource conservation. I’m grateful that my friend convinced me to keep these two journals. I’m glad to have tossed all the others. I cannot recall what was in them. Out of sight, out of mind. Do you stow or throw away your journals immediately after they’re full of writing? Have your habits changed over the years? Read through one old journal a week. If it’s full of entries that will do you no good, or is a reminder of a sad or bad part of your life, toss it in the recycle bin or have a bonfire/journal burning party. Who wants all that negativity stored so closely? Do away with it forever. Is it full of memories that make you happy? Do you smile and laugh each time you glance through it? It’s a keeper! Is it a combo of trash and a few goodies? If so, tear out the goodie pages and toss the rest. Keep a folder of goodie pages, similar to how you would tear articles you want to read out of magazines and recycle the remaining 75% that is advertising. I wish you the best in successfully downsizing those space-hogging journals. Do this once every year or two, and you will find yourself laughing, crying, or disgusted that you’ve wasted so much space, storage unit or moving fees to have them hauled from house to house. I hope you find yourself clutter free the way you should be. Do you ever just want to burn your partner’s old journals? Your personal things probably mean a whole lot to you. That’s why as a professional organizer, I don’t push people to discard their stuff. In 98.5% of the cases, people know exactly what they have to do, and need someone kind who cares to simply be by their side and support them physically and emotionally through the process of decluttering. So with a kind heart, share this blog with your partner, be patient, helpful, and keep the peace. Fish habitat restoration. 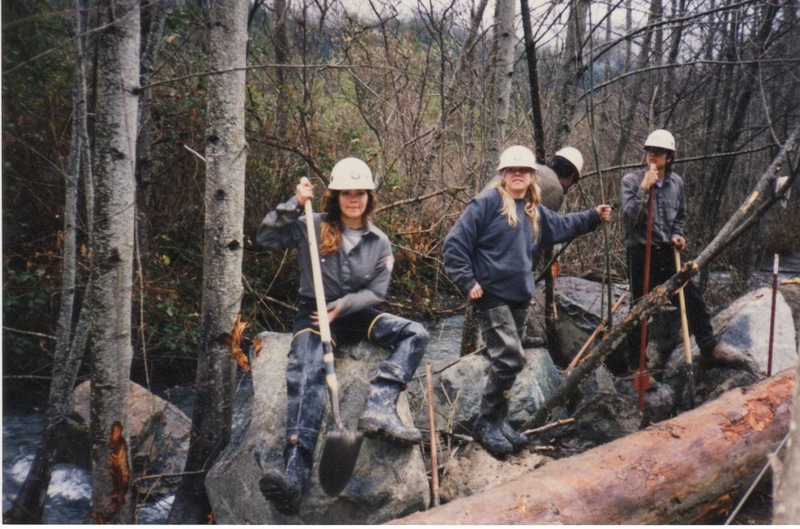 Digging out a landslide into a river caused by logging and erosion after a heavy rain. Break time. 1994. Americorps graduation day with my crew. 1995. I’m on the far left. Ready for more? Call (510) 229-7321 today to schedule a complimentary estimate to get decluttered and organized. Gift certificates are available.